“Lean, mean, pizza-eating machines” may be the new recruiting slogan of the United States Army, because soldiers will soon be receiving the best combat-ready tool that they could possibly get: pizza. An old adage states that “soldiers march on their stomachs” and the truth of this could not be understated. Since soldiers rely on MREs (meals ready to eat) in the field, Army scientists have spent two decades working around the clock to make food that is palatable, rather than the distasteful “mystery meat” predecessors. In order to qualify for the field, food rations need to be able to survive everything from spending years in darkened storage to staving off insects and withstanding every kind of adverse weather condition on the planet. On top of that, scientists worry that typical food rations that are designed without taste in mind are bad for soldier morale. With the end of the draft in 1972 and the beginning of the Gulf War in 1991, the culture of the Army has changed so that soldiers’ tastes have been taken into account. Even General Colin Powell, who was the chairman of the Joint Chiefs of Staff, came down from on high and told the Combat Feeding Directorate to “fix it” – the food. Since that simple order was given, the scientists in charge of creating meals for the boys and girls in green have literally dug through the trash to see what soldiers choose to eat on their off time. These dumpster dives combined with military questionnaires revealed that soldiers have only one true desire: pizza. Now, after years of surprisingly difficult development, the MRE pizza meal is ready for deployment. “It scored pretty well, On our scale it got a seven. Nine is the highest. I think M&M’s get an eight,” Army food technologist Michelle Richardson told the New York Times. Few soldiers have reportedly had the opportunity to try this carb-bomb delight, but it is currently being shipped to military bases around the world. Some civilians have already bought the pizza MREs online and given the pizza a rating ranging from “not bad” to something reminiscent of school lunch. The Times even interviewed Jeff Pond, a chef of an artisanal pizza restaurant from Area Four in Boston, in order to get the melty scoop. 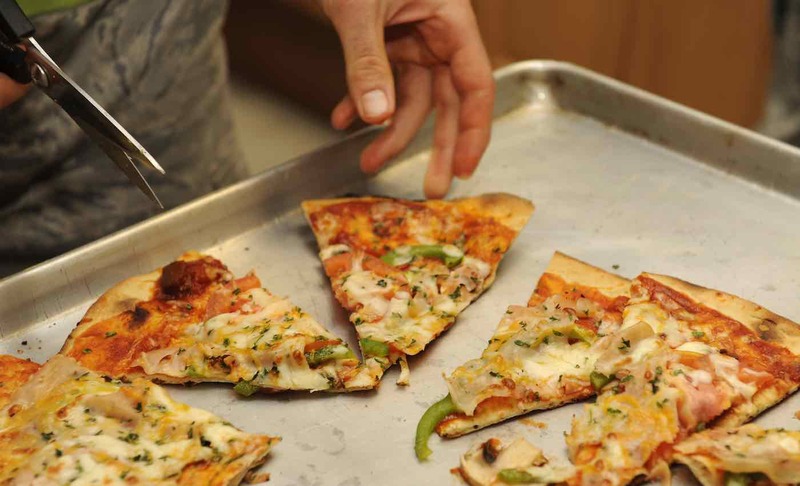 While it is not the most stellar review, the Army food technologists are probably pleased, given the circumstances: they managed to make a decent pizza that could last months in a pre-sealed pouch – and they did it in a way that could bring back memories of childhood slices.